Shazam is best known for being a mobile app that recognises music and TV that can automatically inform users of the artist, track, lyrics and other information about what they are listening to! They help users discover, explore and share music they love, and their website is part of that journey, alongside their amazing app, available on Apple, Android and Windows. Shazam wanted to help users find lyrics and songs they love in many countries and various languages around the world, via organic search. The lyrics space is highly competitive field and their organic visibility had never grown, even with a hugely reputable domain and brand. Shazam.com is an extremely large website, targeting many regions and languages, with towards 20 million URLs due to the sheer volume of individual tracks they have for users. At such a large scale, small changes can make a big difference in organic performance. Our technical SEO team carried out significant keyword research and forecasting at the outset, before performing a comprehensive technical audit and review of the website. 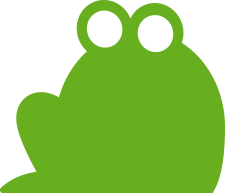 The Screaming Frog technical team also provided strategic advice on multiple language targeting with subfolders, allowing Shazam to reach users internationally. The SEO recommendations were provided to the client, prioritised in the development queue and then released in sprints. Our SEO team continued to provide guidance along the way, perform regular auditing pre and post production, as well as analysis and reporting to the client. Our technical SEO consulting resulted in huge increases in organic visibility for Shazam, after years without any movement at all. Organic visibility has increased by over 2000% resulting in millions of incremental sessions to the website.